What role did your family play in your vocation as a priest? I come from a large family, with 10 brothers and sisters. That played a very big role in planting the seeds for my vocation. Both my parents are supernumeraries in the Work [Opus Dei]. Seeing the sacrifices needed in marriage made me more open to the call to the priesthood. After college, I remember seeing my Father praying in the morning in the living room, doing mental prayer. I wondered why he was doing that. Later when I got connected again with the Work, I saw how his prayer life helped him to do his work well and to raise us the way he did. I watched him go to daily Mass, and say the family rosary. Seeing my parents go quite often to the sacraments had a huge impact. You attended an Opus Dei school in Washington DC, The Heights School. 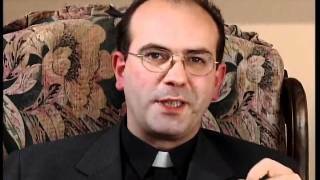 How did that help prepare you for your vocation as a priest? I look back with very fond memories to the Heights. Prayer was not something foreign. Striving for virtue was put at the forefront of education at the Heights. But they also allowed you to be a guy. At other schools, if it's raining a bit, they don't let you play in the parking lot, and you have to stay inside. At the Heights, they kick you outside, and you play in the mud. My friends who went to other schools were saying, "Man, they let you play at recess?" And we got all muddied up. At the Heights they allowed you not to be afraid to take some risks, and to be a man. What about your sports background; has that been helpful in your ministry as a priest? Absolutely. I played varsity baseball for four years at The Heights School, and then right field in college at the University of Dallas. 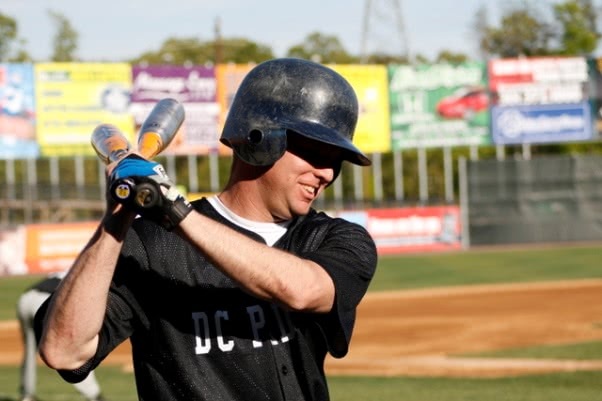 To this day I am on a priests’ baseball team called the “DC Padres.” I am probably getting close to retirement now, but it's all priests and seminarians. We play high schools at minor league stadiums about four times a year. Sports teaches you to have perseverance, especially baseball. Baseball is such a game of trial and error. If you hit three for 10, you are considered a super-star in the major leagues. Constantly beginning again is so important. I tie a lot of things in when I am talking to people. Sports are such a big thing in people's minds today. How powerful it is to help people see there is a greater sport, trying to get to heaven, to be a saint. When did you first think about the priesthood? It happened when I was a student at the University of Dallas and was doing a semester abroad in Rome. I really liked the chaplain we had there. He was always accessible for confession, to talk to. This chaplain invited me to go on a ski trip with four guys to the place where John Paul II used to ski. That was one of my fondest memories of Rome. He was a cool guy, but he was authentically holy. And he asked me one night, “Have you ever thought about being a priest?” I wrestled with this for five years, but that was where the seed was planted. After college, before the seminary, you began working as a stock broker for Morgan Stanley, right? I felt I wasn't ready for seminary, that jump of faith yet. There was a slow steady process of really beginning to figure out who I was and who Christ was and learning how to pray at a deeper level. I had never really done mental prayer. I got introduced to Eucharistic adoration, and praying the rosary on a daily basis, rather than once a week, and started centering my thoughts and my work more on God. I found more joy in what I was doing in the middle of the world, and my heart was pulled to a deeper call. 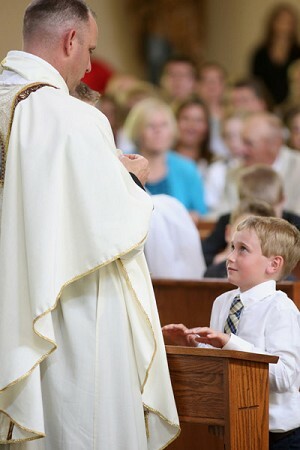 What were some memories from the time of your ordination? The first Mass after ordination was unbelievable. The first time concelebrating with the bishop and consecrating the bread and wine into the body and blood of Jesus Christ was just…. I can't even put it into words. The whole day was beautiful. But just the reality that God was going to use me, a weak sinner, to bring grace to people was profound. 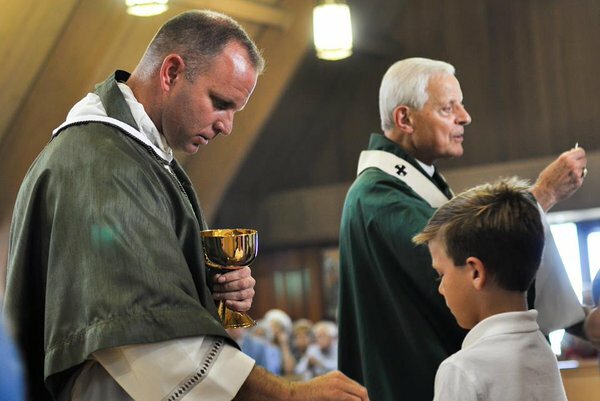 What are your favorite things about being a priest? Three things: offering Mass, confessions, and preaching. What feeds my love for the Mass is adoration. Every day I have an hour of mental prayer in front of the Blessed Sacrament. That's been huge. In every place I've gone I've offered confessions before and after every Mass, and now as a pastor we are offering a lot more. I find that this has been a wonderful vehicle for bringing people to conversion. I think if you just offer it, people eventually will come. I am blessed to have parochial vicars of the same mindset, who love sitting in the confessional and helping people. And I love the sacrament of confession for myself. And I just love preaching the Word of God. I've been doing a lot of retreats the last several years. I love helping people to understand the faith at a deeper level, helping them connect their life with the Lord. It takes a lot of work, but I've found it's always been a great joy. For me, the two greatest moments are getting in the batter's box, and getting in the pulpit. What's it like being pastor of a parish? My current parish is Sacred Heart Parish in southern Maryland. There is a lot of history down here, some of the oldest churches in the United States of America, a rich tradition of Catholicism. This parish has about 1,600 families; about 900 are practicing, and that number is growing. Through days of recollection, preaching, and retreats, I am trying to help people be more engaged in their faith. The people are very open to the faith. Those who are going to Mass want to be challenged and encouraged to holiness. I've been here only about a year and a half, but I really love it. And dealing with the day to day, of fixing buildings, that's part of the vocation too. What are your daily preoccupations and concerns? It's who do I need to help today. I do a lot of spiritual direction. A lot of times I think about the people I will speak with today. I ask for the strength to dive in the best way possible. Near the parish we also have a prison, and so once a week we have Mass at the prison. We have five nursing homes, a hospital, a school. A lot of times, I am thinking, Lord, how will I balance all this today? And how should I prioritize? Sometimes being a parish priest can be overwhelming. It's like being the dad of a large family. And you have to ask the Lord, who do you want me to focus on today? 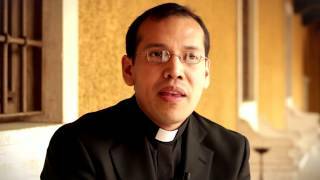 How does the Priestly Society of the Holy Cross help you as a priest? I think I can say that, without the Work, without the Priestly Society, I would not be where I am today. You get a lot of spiritual support in the seminary, but after ordination, sometimes priests can find themselves on their own. One of the dangers of a parish priest is you can become a lone ranger. Essentially, you are holding all these people accountable as a pastor, but nobody is holding you accountable as a parish priest. We priests, like everyone else, are sinners in need of God's mercy, and you need that fraternity, and someone to challenge you as a priest, to stay faithful to your call. For me, the Priestly Society has been a great refuge to deal with my own weaknesses and to discern where God is calling me as a pastor, in my work, to be a better priest. I find that it's not just the means of spiritual formation that help, but being with the other priests as friends. The other thing it has taught me is that one of my main apostolates is helping my brother priests to stay close to God. How to you try to be a brother to your brother priests? In southern Maryland, the priests in the Work are located very close to each other. We have weekly dinners at one of the parishes, and we do mental prayer together. It's not just for the guys in the Work, it's for our friends too, outside of the Work. And I find it's helping them to get together and talk: What are you preaching about this weekend? How are things going at the parish? We also have an Easter workshop for priests, and the guys love it. It's at the Longlea retreat center. We have a speaker, and pray together with some talks, and do some excursions. Every year we get more guys, and they all really look forward to it. We also invite them to retreats, which have been a great help. 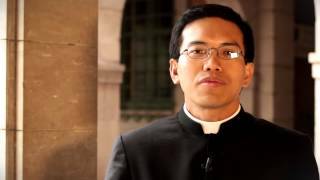 Any words of advice you might have for a young priest who has recently been ordained? Yeah, I would say you should try to spend an hour in prayer every day. I think that's a non-negotiable. I think because of all the stresses and the demands of parish life, you need God's strength. Secondly, consider getting in contact with the Work, the Priestly Society. Our formation doesn't stop at the seminary. The Work is great about keeping us studying, and learning our faith, and looking at our duties as a priest as a “professional” work. We have to keep working at being better. And thirdly, always look out for your brother priests. If someone is faltering, give him a call and invite him out to lunch, to see how he's doing. Any final thoughts you would like to offer? I would encourage the laity to pray for priests. Too many people assume that priests are saints. What encourages me to be a better priest is seeing these moms and dads with big families who sacrifice so much to raise their kids in the faith. What encourages them is to see the sacrifices we make, living celibacy, and giving our whole life to our bride, the Church. And I think it is a team effort. It's like the pitcher-catcher analogy. The ministerial priesthood and the common priesthood are working together. So please pray for priests often.